There’s nothing quite like looking into each other’s eyes – and out into the gorgeous Gulf of Mexico. 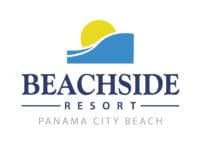 Beachside Resort Panama City Beach offers the ultimate destination for your Panama City Beach wedding. Get in touch with us today so we can start planning your dream day. From the first kiss to the last dance, celebrate here.